We arrived seconds before being late. At our church, that basically meant we were late. With my little legs doing triple time to his adult strides, Dad and I scurried up the long, tall staircase into our Ukrainian Orthodox Church, as the big doors closed behind us, only to be blocked by a wall of bodies, at least 10 or 15 deep. Dad grabbed my hand and pulled me through several layers of dark suits until we could go no further. There I stood, surrounded by a sea of well dressed legs, butts, and hairy, clasped hands clutching bibles. That’s the view when you’re a 6 year old late for Ukrainian Catholic church. I looked up at my father, bewildered by his urgency of being here. With head bowed, his expression turned from my smiling loving Daddy, into a solemn, sad man, with a far away gaze cast deep into the creaky wood floor. This must be very important! I thought to myself. At six years old, it’s hard to understand a room full of people all facing the same direction, heads down, all looking so dreadfully serious. Especially when all words are spoken in a mumbo jumbo language you don’t understand. Yet those words were so very powerful. I peered between some legs to get a better look inside the church. A squatty old bald man, clad in white silky draping robes with shiny gold designs, was heading up the center aisle to the front alter carrying a book and a gold incense burner on a chain. He chanted softly with a hypnotic, monotone, serious voice that occasionally ended with a quick rise or fall in pitch on the last word. He set the book down on a pedestal and moved about the alter slowly, while dispersing smoke from the incense burner around the alter and out to the rows of kneeling, solemn worshippers. He reached to the sky, then out to his sides, then with head bowed down he chanted further, making hand motions in the air. This must be very important! I thought to myself. At six years old, it’s hard to understand an old guy in a robe swinging a smoking vase on a chain looking so dreadfully serious. Especially when all words are spoken in a mumbo jumbo language you don’t understand. And then it began. Soft, sad humming that seemed to be resonating all around us, yet was nowhere visible. The hum was deep, earthy, and eerie sounding. Slowly it grew louder and louder, until a thundering cry of forlorn melody wept through the walls and stained glass windows surrounding us, reaching for our very souls. Deep base vibrating in my chest. Controlled, lilty, wispy soprano, and delicate, articulate tenor voices chanting something I couldn’t understand a word of, yet I found myself breathless hearing it. I was captivated. I was scared. I was drowning in it. Is this what the fear of God is? I was ready to obey my mom and dad for the rest of my days—and for sure eat all of my vegetables. I will be a good girl! The best daughter! I promise! The heavy smell of incense, the pungent smell of men’s cologne and the eerie desolate chanting melody echoing all around me was profound. It was thick. It rattled in my ribcage. It hung in all of the legs and butts and clasped hands around me. It was engulfing my very being. Pulling me in. Pulling me in. It was….it was…..it. Was. I. Am…so. Very. Tired. And……. I opened my eyes to find my father’s face inches from mine. There he was, cradling his little girl in his arms on the front steps outside of the church. “Oh my honey baby!” He purred as he rocked me in his arms. I’d fainted. He felt so bad. This was church for me at six years old. Trips to church were few and far between after that day. I went through 3 painful months of unsuccessful bible study in Ukrainian before I was finally placed in an English speaking class. We celebrated my First Communion, and I earned right-of-passage to be a Catholic. Then things got complicated. Boy, do I have stories! 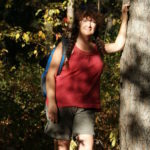 Over the years, I eventually ran from the church and became one of the many non-practicing Catholics out there in the world searching for my truth. In college I dove head first into Philosophy of Religion for an entire year, and studied every option that existed—embraced each, and landed on none. Eventually I found my truth. My religion became nameless and private. It was basically the “Do The Right Thing with Grace and Compassion” faith. That was okay with me. I had a strong foundation of faith, morals and ethics to work with, which has continued to serve me well for many years. Recently I went to an ethnic food festival hosted by an Orthodox Catholic church in town. What good Ukrainian girl wouldn’t attend? You can take the girl out of the church, but you can’t take the girl…….. 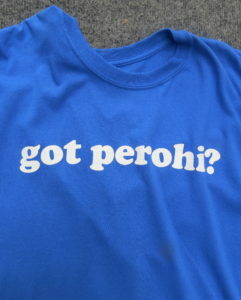 Anyway, I even purchased my own “Got Perohi?” tee-shirt. (I could insert a Polish joke about spelling here, but I won’t). It was 80 degrees outside as I wandered around looking at all the exhibitors. Ethnic folk dancers, a Polka band, lots of tasty foods, exhibitors with trinkets to sell, and a bake sale. The activities program said the church choir was performing shortly. My first time stepping into that kind of space in ‘a lifetime’. Not to say I’m not a person of faith today. I am. My faith is strong, albeit not one that follows organized religion. I snuck into a pew towards the back of the church, eyes closed, listening. I was transported to another time and place, back when I was six years old. Yes, that same feeling of sadness, pain and woe filled the room. But this time, the deep, earthy, and sad chanting brought me through that somberness to something new; to profound feelings of gratitude. Of thankfulness. Of humility, and grace. The rumbling bass, the lilting soprano, the articulate tenor chanting’s. It grew louder and louder, until a thundering cry of forlorn melody rattled the walls and stained glass windows surrounding us, reaching for our very souls in triumph, in celebration, in resolve and devotion. Although I still couldn’t understand a word, I found myself just as breathless hearing it. Is this what feeling the grace of God is? Perhaps so. A powerful message we can only translate in our own mind, invoked by the hypnotic, lulling melodies of an Orthodox choir. Tears came to my eyes. Tears of comfort. Tears of compassion. Tears of profound understanding. Of acceptance. Of simple love. I feel so blessed every day of my life, and yet right here and right now, my gratitude is risen ten-fold. Re-energized faith in some un-definable positive melodic force far bigger than my own self. I left that Church feeling ignited, inspired, alive and hopeful. Wanting to reach out to my elders, and cook up a big pan of food to share with the world. What an unexpected gift that day! It saddens me that our society seems to lump the entire Christianity faith into a category forced to take a back seat in our ever evolving culture, conforming to a world where celebrating God out loud is “politically incorrect.” What a tragedy. With the melting pot of diversity and personal beliefs our society supports, why in the heck has it become actually “offensive” to celebrate God out loud? Come on now, people. Seriously? It’s quite obvious to me, most people need something to believe in. A foundation of morals and ethics to be raised with in life. When I was young, God and the bible was our mirror; our example for growing up making wise choices, and developing grace, compassion, and integrity. A safety check for policing ourselves. “Thou shalt not kill…. Thou shalt not commit adultery…..Honor thy mother and father”…..we needed a solid reason—a story to believe in. It was a good, impactful story. We lived it daily and it taught me right from wrong at an early age. For me, I choose to believe that God, (which can mean from the Bible, the Koran, the Goddess, the Universe or anywhere else you find that supreme higher power connection), isn’t confined to any one place or version. I would never tell anyone of any faith (well….excluding extremist terroristic beliefs) that they cannot practice their faith openly—or that they have to agree with me or mine. I believe in being respectful and supportive of all—because when you get right down to it, there are many Deities, and at the end of the day, they all provide the same basic thing—a good foundation and starting point for being a decent human. The key for me reaching this belief is that I was provided a foundation first. A path. A blueprint to follow. A starting point. From there, as I matured and developed a rounder sense of the world and my place in it, I better defined the path that made the most sense for me. Frankly I don’t care what a person believes in. Just believe in something positive. Have faith in the idea there is something positive to strive for. Look beyond yourself and your own views. Live and let live with grace, compassion and kindness to others. There is plenty of room for all of our beliefs. The bottom line is, “in God we trust” is what our culture–our society–was first founded on. That foundation did, and still does, provide a starting point for countless individuals looking for something to believe in, have faith in, and a positive path they can aspire to follow. I will gladly take a knee and say “amen” out of respect for that. I will gladly pledge my allegiance out of respect for that. As my higher power is my witness, I stand firm and insist there’s not a thing wrong with allowing public expression of that. 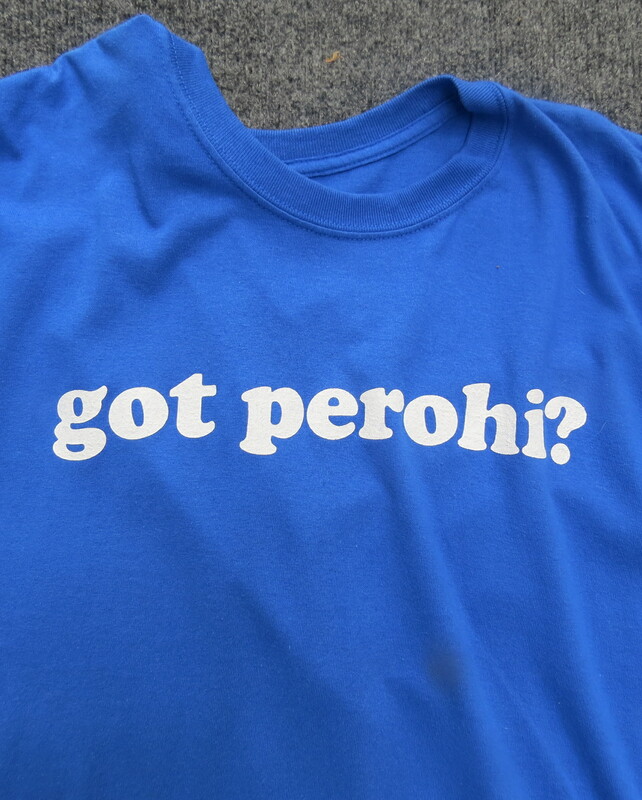 And if you can snag a few “perohi’s” in the process, all the better. Thank you for reading my post. Did it strike a chord for you or did it seem far and away from your own perspective? I’d love to hear your thoughts! All comments are greatly appreciated. 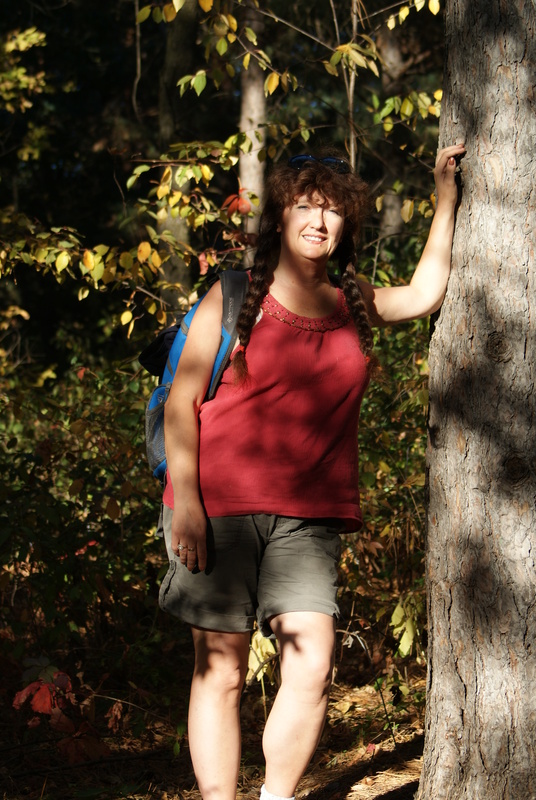 You can read about all sorts of ideas, opinions and feelings from the heart and soul of an outdoorswoman… there are lots of topics covered in my blog category, “Girl Outdoors”. If you like what you see, please let me know by “liking” my website. You can even join my tribe to automatically receive new postings ‘hot off the press’. As always, please feel free to share my information with others who may find interest and value in PR Brady AdVentures! Thanks again!